These are difficult times in the field of youth provision, not just in Leicester and Leicestershire but nationwide – which makes it all the more vital to plan and work effectively, to make optimal use of available funds and resources. INCLUDING: Heart of England Community Boxing Club, Hinckley Young Carers Group, Girl Guides, Streetvibe Young Peoples Services, PaddlePlus, Mowmacre Young Peoples Play and Development Association. We’re passionate about providing young people with the widest possible range of positive activities – which we achieve through leading and supporting voluntary-sector services. 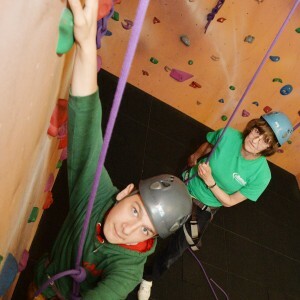 Everything we do is dedicated to supporting young people to achieve their full potential. Young Leicestershire supports some very large groups such as the Leicestershire Girl Guides, and has been involved in multi-million pound schemes – but no group is too large or too small to benefit from affiliation. Everyone is welcome. Formed in 1951 as the Leicestershire Association of Boys’ Clubs, we’ve since greatly expanded our brief! In order to take inspiration for future projects, it’s worth looking back at some of our achievements, these all from the past 10 years. Young Leicestershire is run entirely as a charity. Why not Get Involved! ?